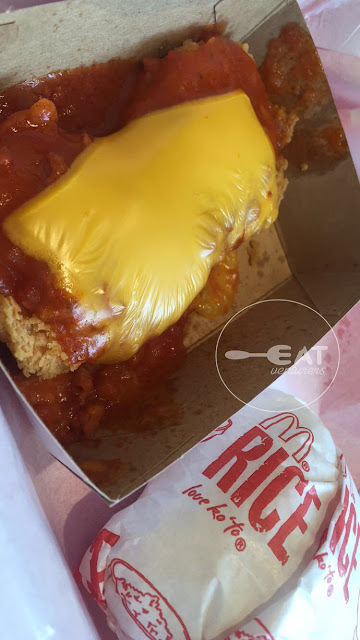 The Eatventurers: What's new on the menu of McDo? What's new on the menu of McDo? The Eatventurers recently tried some new offerings of McDonald's Philippines. For the months of June and July, the Eatventurers tried two new offerings of McDonald's Philippines and guess what? WE LOVED IT. 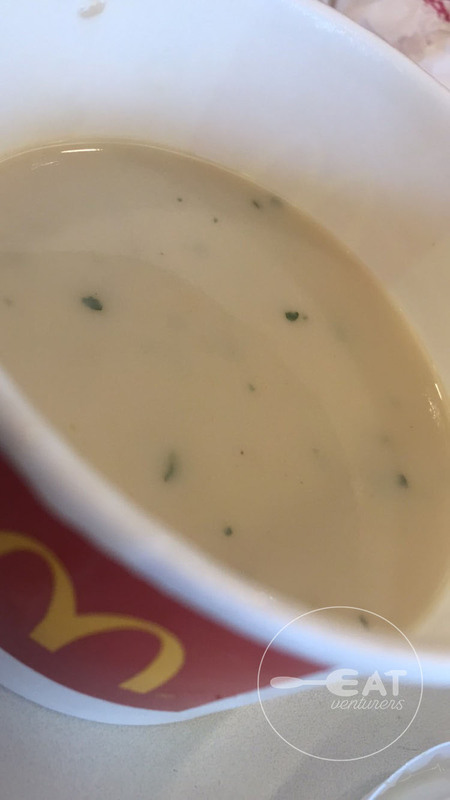 First one we've tried is the Creamy Mushroom Soup. Priced at P39.00, it's a little expensive because of it's small serving but it exceeded our expectation. For Rosette, it is better than KFC's creamy mushroom soup. It does not have bread croutons and its mushroom bits are smaller than KFC's but it tastes better. 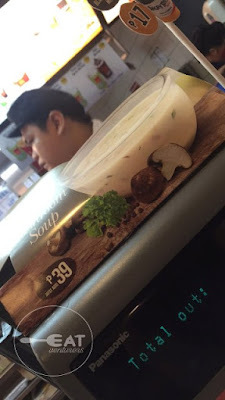 McDo's creamy mushroom soup just have the right consistency and it's not too salty as well. It probably has chicken stock in it. 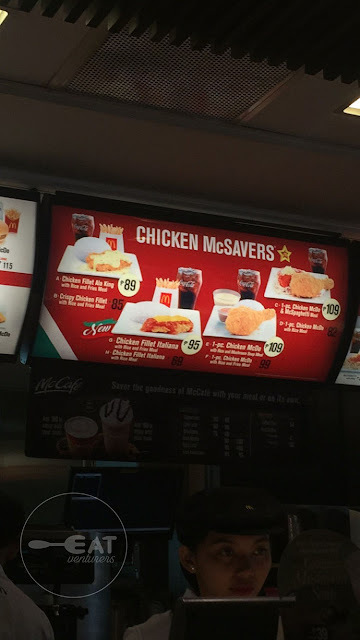 Next one we've tried is the new member of the Chicken McSavers, Chicken Fillet Italiana. After the success of AlDub's Chicken Fillet Ala King comes Chicken Fillet Italiana. We initially raised our eyebrows on this as judging from the menu it only uses the red sauce of McSpaghetti and the cheese in McDo's Cheeseburger and we were right. However, we were wrong about raising our eyebrows because its combination is good. Its meaty tomato sauce and melty cheese combination was a perfect invented combination. It doesn't look that bad in real life either. Of course the promo photos were better but it does look good in real life too. The only problem we can complain about again is its serving, too small for its P69 price with drinks. P95 with fries and drinks. For Rosette, it is also better than Chicken ala king. You can even combine it with the mushroom soup and you'll be full. Good thing though, AlDub (Alden Richards and Maine Mendoza -Yaya Dub) is celebrating their loveteam anniversary and they are giving a treat. From 11 a.m. to 12 noon, mushroom soup is free if you purchased a Chicken Fillet Italiana meal. 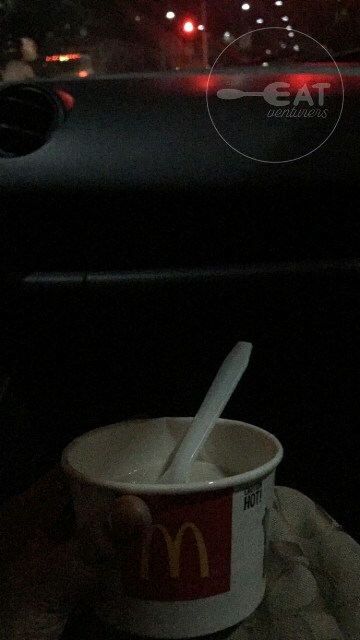 Meanwhile, the Eatventurers have yet to try other new offerings of McDo such as the Frozen Coke/Royal and their new dessert Double Choco Crumble as well as the new burger.